Lab Hosp Instrument & Equipment Manufacturing Co.
Our supply of a wide range of chemical plant equipments. We provide our chemical plant equipment from qualitative raw materials that has been previously tested on various parameters before being subjected to production. 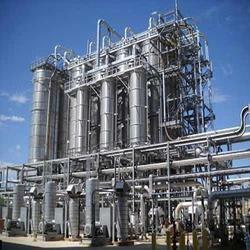 Our chemical plant equipment is widely used in many industries. superior materials of construction for wet or dry gas service. The GTA 120 Graphite Tube Atomizer provides superior graphite furnace performance, no matter how difficult the sample, making them ideal for applications as diverse as chemical, petrochemical, food and agriculture. The GTA 120 is compatible with the 280 AA, 240 AA, and 140 AA instruments. We are among the trusted manufacturers of Dished- Ends Torispherical heads that are widely used in chemical refineries & plants and oil and gas industries. 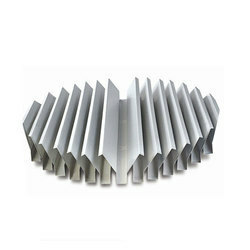 Our products are manufactured using high quality stainless steel, low alloy steel. Borax, is usually a white powder consisting of soft colorless crystals that dissolve easily in water. Borax has a wide variety of uses. It is a component of many detergents, cosmetics, and enamel glazes. It is also used as a fire retardant, anti-fungal compound and insecticide.